When life gives you radishes, bake cookies. Some of the radishes I bought from the farmers’ market the other day were still lying around in my refrigerator and I was wondering what to do with them. 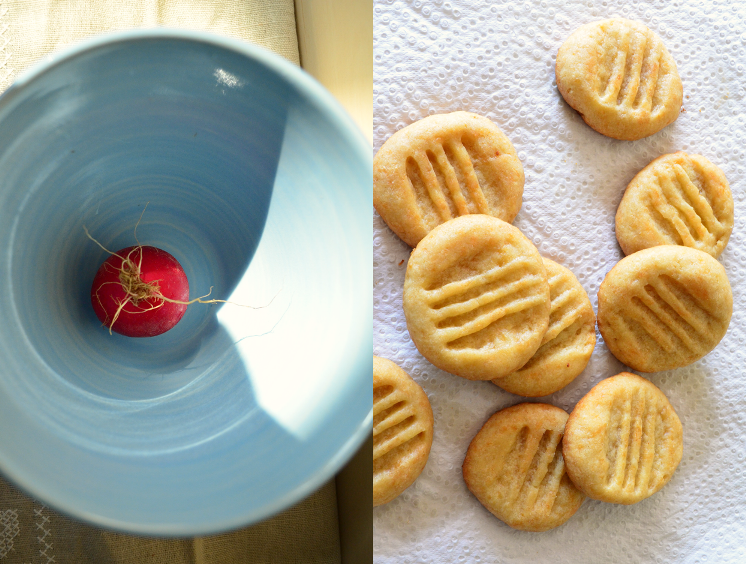 I went through my recipe stash and found just the right thing – cheesy Parmesan cookies topped with radish butter. 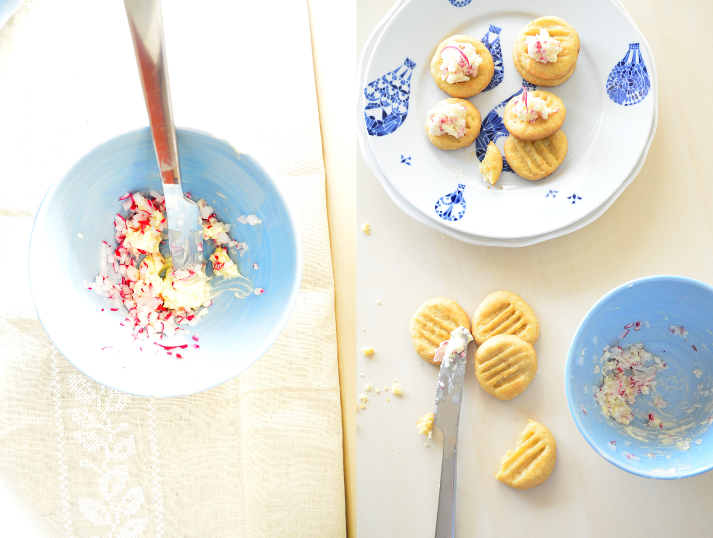 These biscuits are good on their own but the radish butter adds some pizazz to them – they also make great canapés. Preheat oven to 180°C. Place butter, cheeses, flour and salt in a food processor and process until just combined. Roll dough into a ball, wrap in cling film and chill for 30 minutes. Break off small pieces of dough and roll into balls. Place on baking tray and press down with a fork. Bake for 10-15 minutes or until golden brown. Cool and store in an airtight container. To prepare the radish butter, soften butter and mix in the chopped radish. 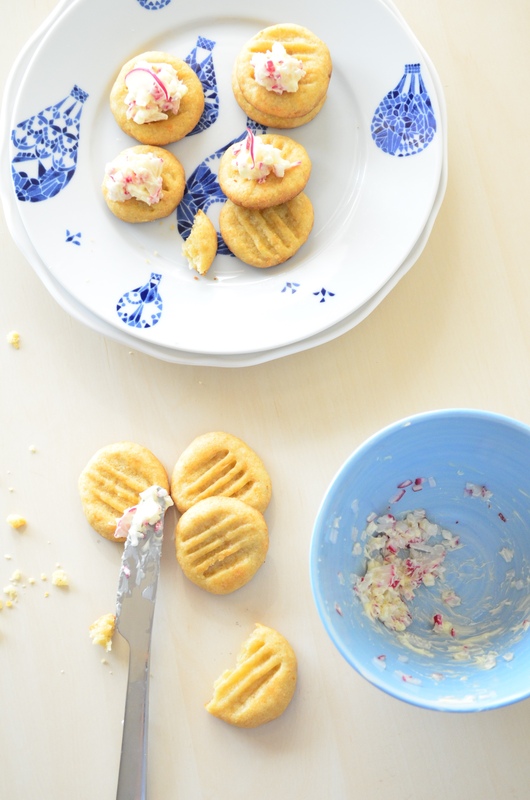 When ready to serve, spread radish butter over cookies and serve immediately. This entry was posted in Baking and tagged Baking, Cookies, Parmesan, Radish. Bookmark the permalink. ← A delightful discovery and a bunch of radishes.